The sanctions include ban on fund transfers to N. Korea, investment from the country in EU nations, and transfer of technology. The European Union (EU) has adopted fresh sanctions against North Korea for conducting nuclear and ballistic tests despite United Nations (UN) sanctions against it, the European Council of the European Union said on Friday. The announcement comes after strong condemnation against North Korea by world leaders at the G7 Summit in Japan. The new sanctions include restrictions on fund transfers to North Korea, investment from the country in EU countries, transfer of technology, fuel, investing in the country by EU nationals in the sector of mining, refining and chemicals industries, and others. Also included in the sanctions are "prohibition on any aircraft operated by Democratic People's Republic of Korea (DPRK) carriers or originating from the DPRK from landing in, taking off or overflying EU territory; prohibition on any vessel owned, operated or crewed by the DPRK from entering EU ports." "Considering that the actions of the DPRK constitute a grave threat to international peace and security in the region and beyond, the EU decided to further expand its restrictive measures targeting the DPRK's nuclear, weapons of mass destruction and ballistic missile programmes," the EU statement said. Despite condemnation and calls pouring in from across the world to restrain the nuclear and arms testing in the isolated country, North Korea on Friday threatened to fire on South Korean warships if it crossed a disputed border. 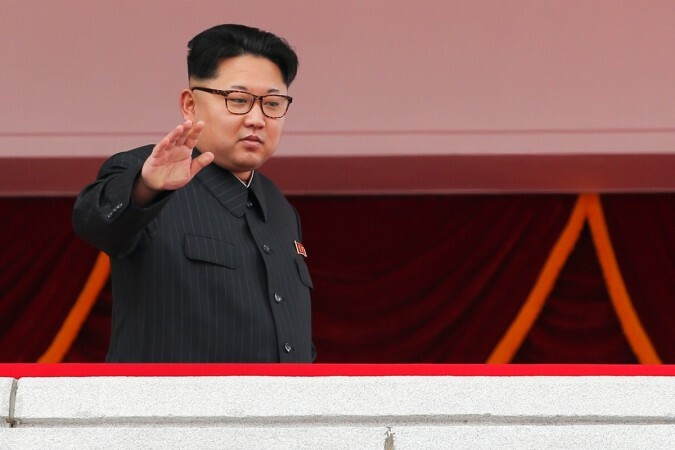 A day earlier, South Korea had fired warning shots to chase away two North Korean ships. "This reckless military provocation was evidently prompted by a premeditated sinister plot to bedevil the North-South relations and further aggravate the tension on the Korean peninsula," the North Korea's Army said about Friday's incident. The Council also blacklisted 66 North Korean people and 42 entities in May 2016.